Here at HelloGiggles, we really have no time for mansplainers. Like zilch, nada, none. So when we see the ever-present mansplainer on Twitter, we can’t help but roll our eyes and scream “AGAIN?!??? ?” at the universe. ‘Cause come on, another one? 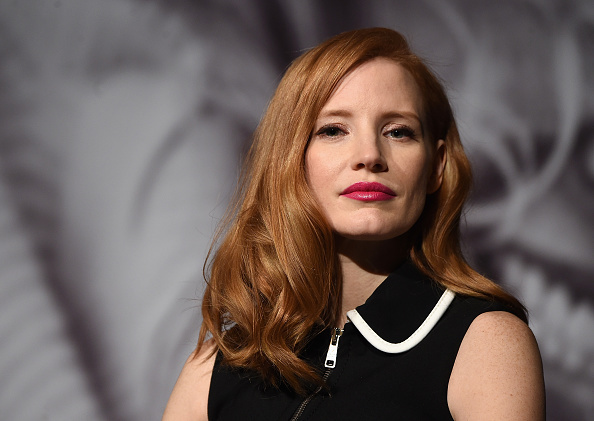 Thankfully, actress and all around badass Jessica Chastain is calling out mansplainers because she gets us. Jessica’s chosen method is Twitter, where she recently posted a tweet with a link to a Huffington Post piece about Donald Trump’s plan to eliminate maternity coverage for women. Chastain was understandably upset by the idea of this new healthcare plan, and took to Twitter to express that. Before Obama’s Affordable Care Act, being a woman was a pre-existing condition. This means that before Obamacare, insurance companies could refuse a woman coverage if she was pregnant or might become pregnant in the near future. The reason for Trump’s switch? White House spokesman Sean Spicer claims it’s to take down these kinds of insurance costs for those who don’t need it, such as men and older people. After Jessica tweeted the article with her reaction, she, of course, got backlash from men who were personally victimized by her tweet. When a user named Steven said “female Republicans don’t want to pay for womens health either. This is about political/religious beliefs, not gender,” Jessica was quick to fire back. Jessica successfully shuts down a mansplainer with little more than a click of her fingers, and we are here for it. But, of course, that’s not the only backlash she’s gotten. Another user named Mark replied to Jessica saying “so patronising and condescending –2 things associated with modern feminism. Undermines all the work ‘real’ femminist do.” Her reply? Perfect, of course. We applaud you, Jessica. Thank you for being a national treasure.